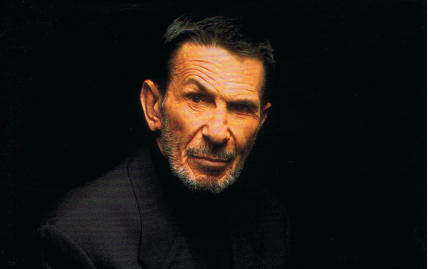 Listen to the PSA by Leonard Nimoy here. 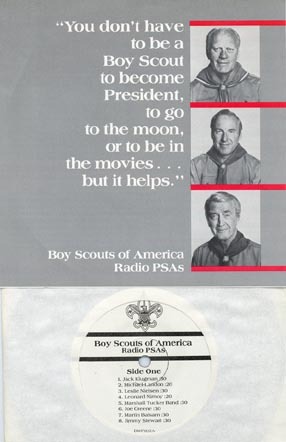 "In 1973 the National Association of Progressive Radio Announcers (NAPRA) got involved in an anti-drug campaign organized by the Progressive Broadcasting Foundation. Part of this "hard drugs awareness movement" was a series of television and radio messages programmed by concerned broadcasters. NAPRA talked a large number of famous rock musicians to record small 30 to 60 second radio spots telling to "get off" hard drugs. Among these were B.B.King, Ringo Starr, Stevie Wonder, Frank Zappa, members of the Hollies, Chicago, Eagles, Grateful Dead, Sha Na Na, and many others including the Star Trek crew. The 47 spots were distributed to NAPRA members as a not- for-sale LP titled Get Off (NAPRA-1)." Source: A Collector's Guide to Chuck Berry. Warner Bros.-Sevent Arts Records, #PRO381. Source: ReoCities, rec.arts.startrek.misc, Toys for Tots.